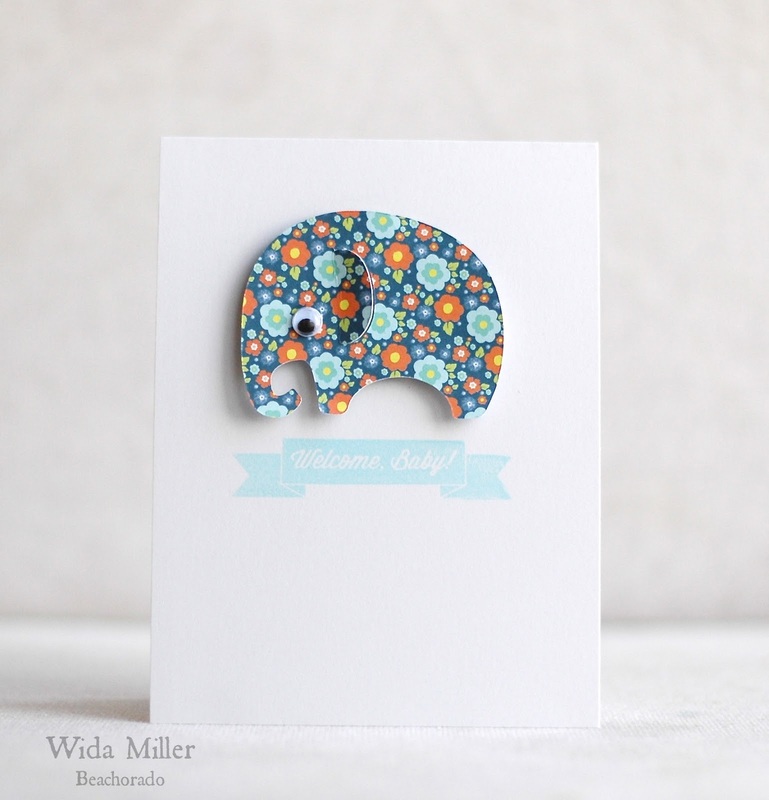 Hello crafty friends, I hope you are enjoying the spring. The card I am sharing today shows my big love for banners. 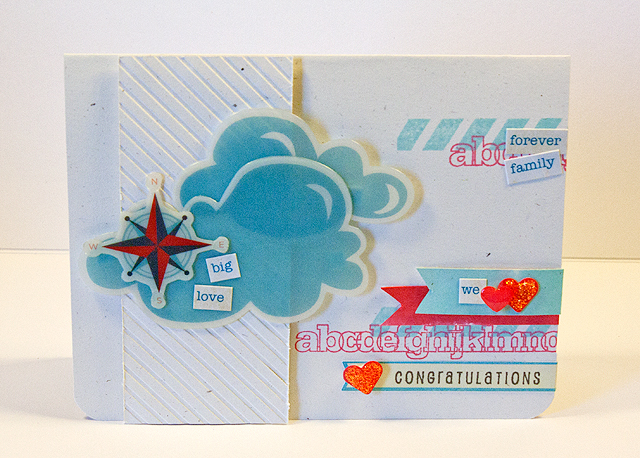 I love Simon Says Stamp banner dies so much that sometimes a die cut banner is a starting point for the card – I just build everything else around it. This is how I approached this card. When I saw I had to fill the circle, I used my favourite techique – using distress inks to watercolor the embossed image. I just dab the ink pad on the clear block, add a little water and then I use the paintbrush to color. Thanks everyone for commenting on our ABNH <3s May Arts week! And a special thank to Bethney & May Arts! We have randomly chosen 3 winners from the comments. include your mailing address and we’ll get your bundle of lovely ribbons in the mail ASAP! 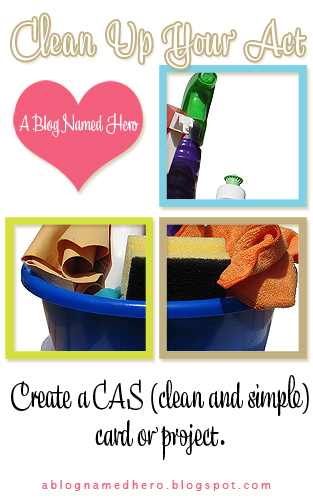 I’m sure you already had a look at our challenge “Clean up your act” – some of you have already played along. We love seeing your creations! Well, I’m a fan of the CAS style. 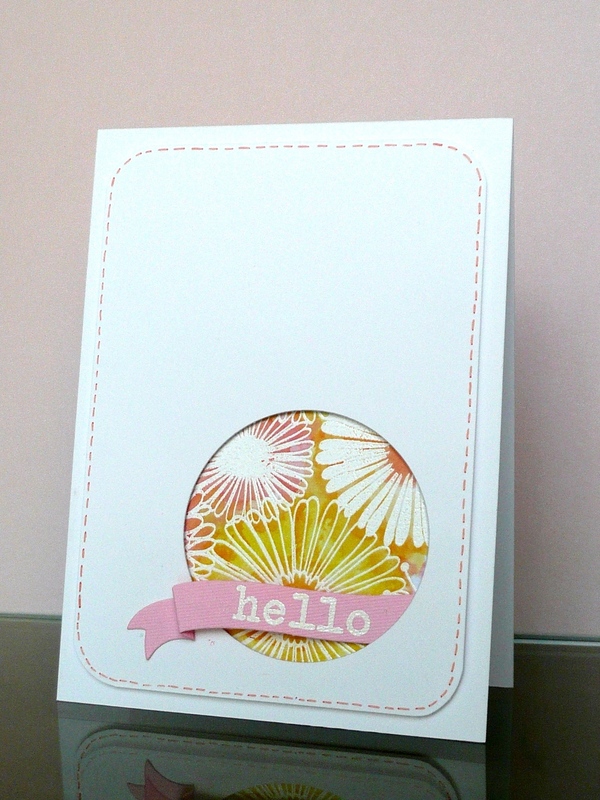 But like many of you, I usually use white card bases, especially for CAS cards. 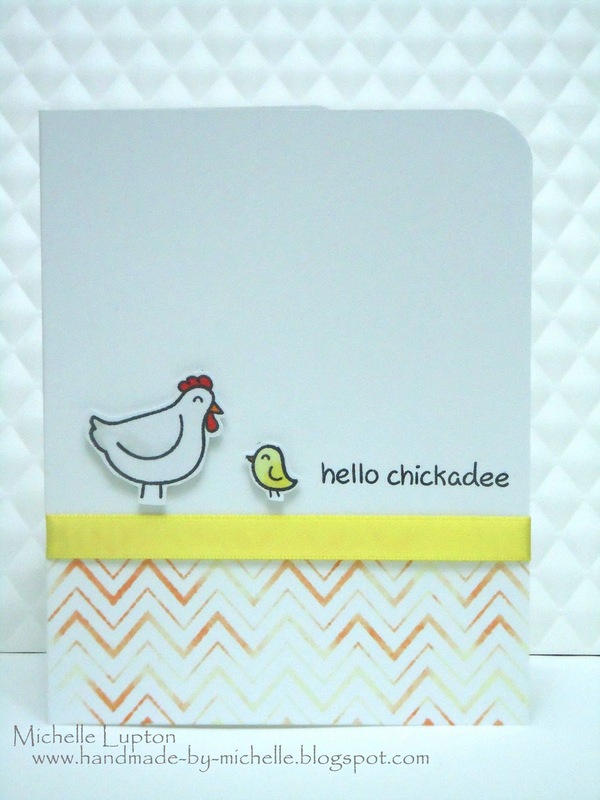 Today I want to show you ways to create clean but colorful cards – without a white card base. 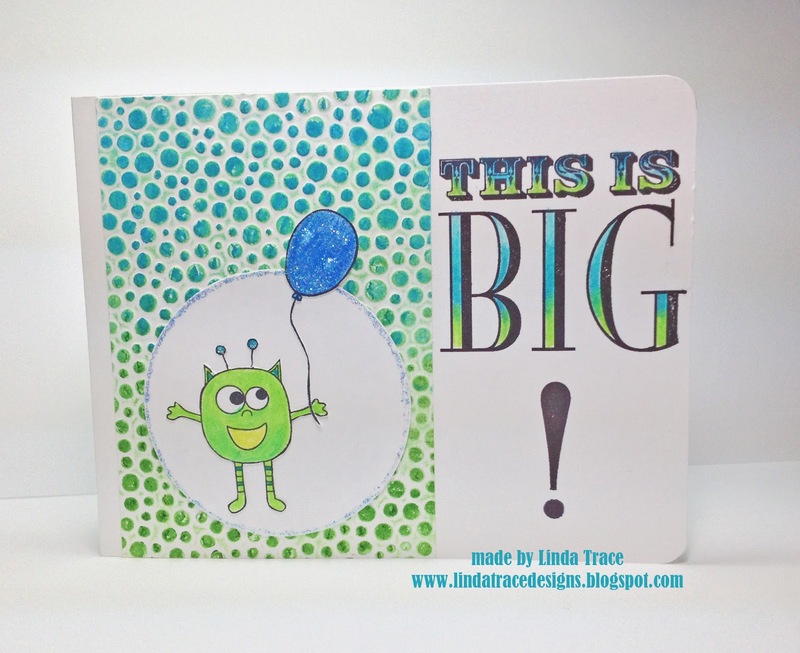 The card base is dark teal – a color that I LOVE! 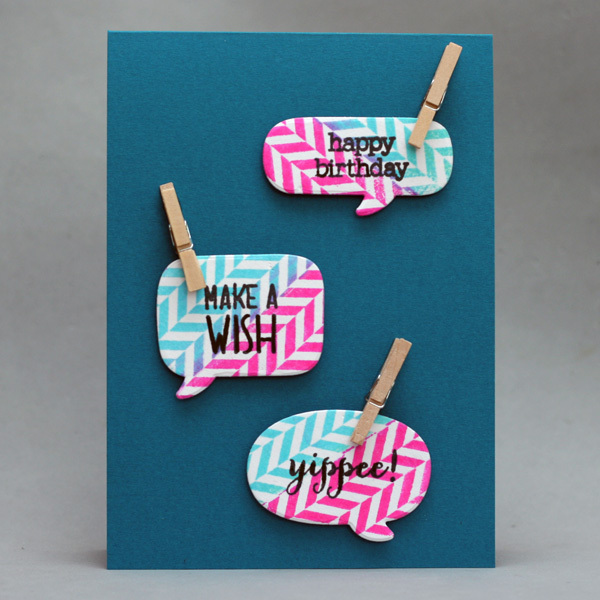 Some speech bubbles are an easy way to create some eye movement on the card and still keep it CAS. I added some interest by using clothpins, holding the bubbles. Of course the bubbles could have been white – but wouldn’t that be boring? Some neons pop! And by stamping the tweed pattern diagonal we got some more movement. Easy peasy! 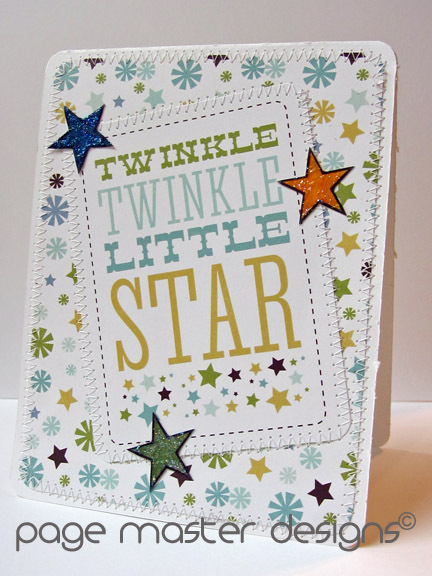 Really – no matter what color you use – it’s about adding some details without overloading your card. I often help myself by using wood veneers as an subtile accent – you should try that out! The second card is a dark plum – a color I don’t use often. Dark colors are completely out of my comfort zone, but I challenged myself. Dark card bases often seem very solid, it’s challenging to give them a light feeling. Next tipp: Use light and transparent materials like vellum or acetate. 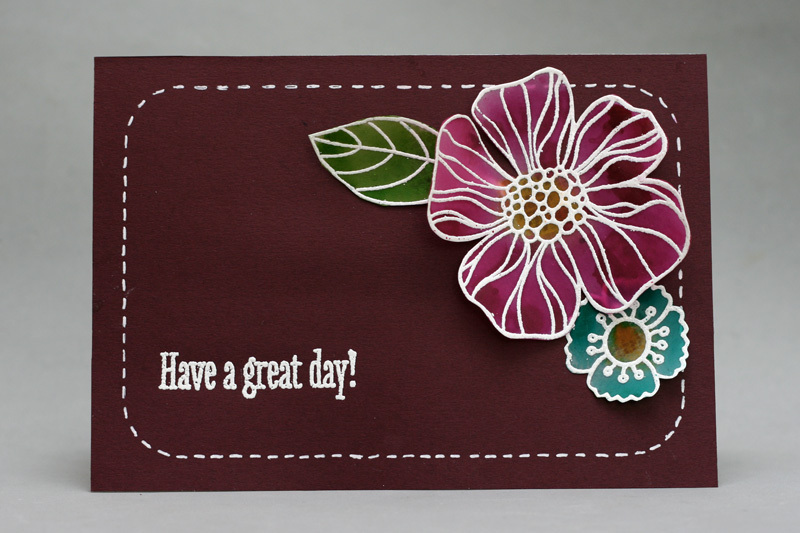 I stamped and embossed the flowers on vellum and colored them with distress stains. The white lines look great on a dark background. Some white stitching lines break up the massive dark plum background. Doesn’t this card look friendly? I hope I got you inspired! Now try this out and don’t forget to play along in our current challenge – Simon says stamp is offering a 25$ voucher! We’re here with another exciting announcement today! 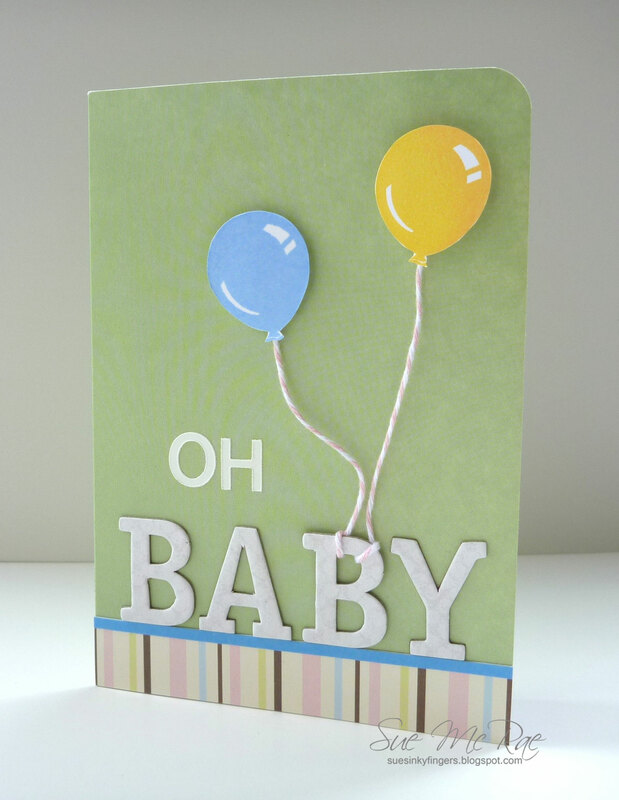 Our darling DT member Kelly, has had her baby boy!! We thought that we’d all get together to make cards to welcome this most handsome little man to our ABNH family! Welcome to little Nathaniel, and congratulations to Kelly!!! May Arts + ABNH = It’s Over Already? We’re back with three more projects pairing Hero Arts & May Arts. It’s been such a fun week, I’m sad to see its end. Thank you, May Arts! Don’t forget to comment on each May Arts post for 5 chances to win 3 May Arts Prize Packs! Let the Design Team know how inspiring this week has been!